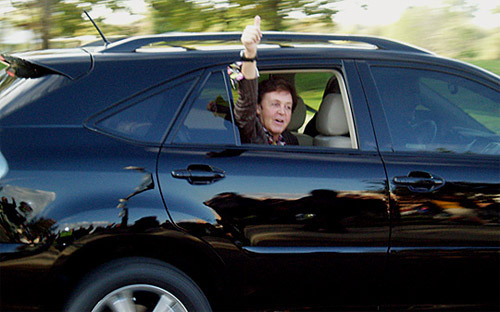 A source is reported to have said: “Paul was offered a Lexus as a gift and ordered the hybrid limo because it helps to reduce emissions. Carbon offsetting firm CO2balance.com said the plane journey would have caused a carbon footprint of 38,050kg, compared to 397kg for a three-week boat journey. A carbon footprint is the measure of the impact that human activity has on the environment and is measured in units of carbon dioxide. I’m certainly not about to defend the decision to air freight the car, but I have my doubts that Mr. McCartney is in the habit of waiting weeks for things to arrive, and I’m sure that played into the decision. What are the chances that McCartney will refuse the LS 600h? I’m sure there’s people more than willing to take it in his place, considering the six-month waiting list currently in place.